As the year begins to wind down and attentions turn towards what lies beyond December 31st, it is easy to lose focus, particularly if you are a rental property owner. During this time of year, we evaluate the last twelve months, weighing up our decisions and our actions. We look to the future, wondering what the next year has in store for us and for our business. The present? Well, that tends to get neglected. An upgraded property is an attractive property. It stands to reason that a property with modern furnishings is going to attract a higher rental price. When do you want to benefit from this higher rental income? At some point next year after you have got around to upgrading? Or from January 1st? Don’t delay. Begin upgrading your rental property now, before the end of the year. This gives you a head start on the competition and gives potential tenants the chance to view your property and recognize its value. Don’t forget that what you add to your property as part of an upgrade project is tax deductible, and can help you seriously reduce your tax bill. All of the expenses you incur as part of this project are eligible for a tax deduction. This is something to seriously consider when you embark on an upgrade. Chances are, you or your accountant have already added up your deductions for this year and made a calculation regarding how much tax you will need to pay. Wouldn’t you like to reduce that tax bill a little more? Start your upgrade before the end of the year and benefit from tax deduction now rather than later. We understand. Christmas and the New Year are busy times. You are getting your business ready for year-end and you are balancing this with all manner of family commitments and assorted festive distractions. You just haven’t got the time to pick out new furniture, to travel to the store and pick it up, to carry it back to your property, and to install it properly. All that will have to wait. But not necessarily. At Daniels’ Homeport, we understand how busy this time of year is. This is why we provide free delivery and set up to all of our customers, helping them to fulfill their upgrade plans before the year is out. Ok, so Daniels’ Homeport provides free delivery and free set up, which is great, but we are still talking about an expensive period of the year. Many rental property owners feel that they simply cannot afford to engage in a furniture upgrade project at this time of year. Don’t worry about that. At Daniels’ Homeport, we supply our customers with the very best deals on the furniture products you need. 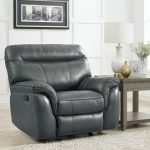 To add to these great prices on high-end, luxury furnishings, we provide 20% off Palliser furniture, and 20% off outdoor furniture to help you on your way. Getting the best for less is possible, even during the busy holiday season. It’s time to get moving and to start upgrading before New Year rolls around. Contact us today to get started! 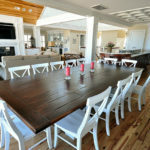 If you have a vacation rental home, upgrade your furniture to maximize your tax deduction for rental properties. It’s the best time of the year to save on taxes.